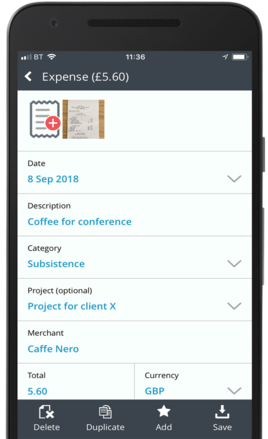 Adding an expense to your favourites will allow you to re-use this expense as a template, saving you from having to type the details in every time. 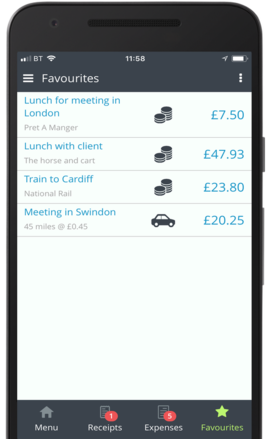 You can add an expense to your favourites when creating it by tapping the Add button. To create an expense from your favourites, tap the Favourites icon. You can then select the favourite template by tapping it, editing if appropriate and tapping Save. Once you have created an expense from your favourites, the expense will be sent to your Draft expenses area.